Let The UPS Store take care of your printing needs. If your business needs professionally printed manuals or presentations, The UPS Store can help. Whatever type of document you need to print – from training manuals to corporate policy and orientation handbooks – we have the printing solution to suit your needs. And when you’ve spent time and energy creating your business or sales presentation, The UPS Store offers full-colour printing, comb and coil binding and fully customized cover options to help bring your documents to life. Start planning your print run and visit your local The UPS Store today! Or, enjoy the convenience of ordering and printing your business presentations and manuals online with The UPS Store Online Printing. 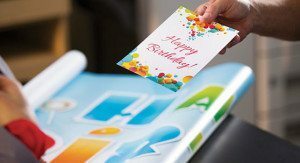 Most The UPS Store locations offer online printing and some may even have their own in-house graphic designer to assist with the design process. Simply contact your nearest store to find out which manual and presentation printing services are available. Not only can The UPS Store print your presentations, manuals, but they can assemble, pack and ship it to your requested destination.